Project Workshop - Whatcha Work'n On? 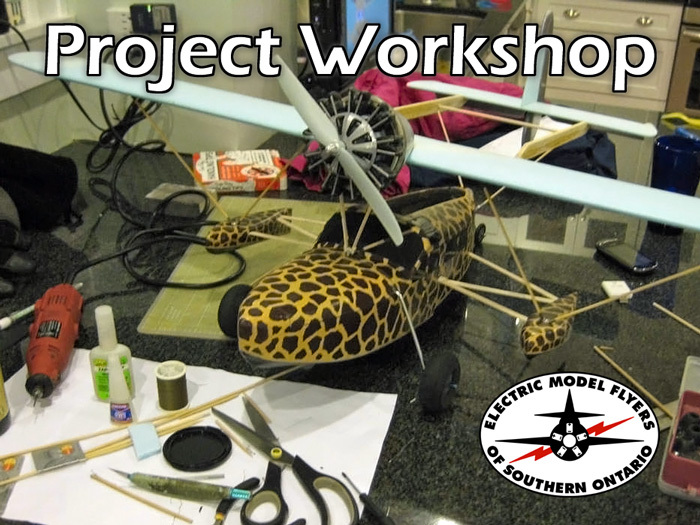 Bring a model aircraft project to the Workshop. It doesn't matter if it's just started or ready-to-fly. Be prepared to share information and your building experience. Saturday, February 16, 2019. 10:00 A.M.
Coffee and lunch are available at the in-store restaurant. 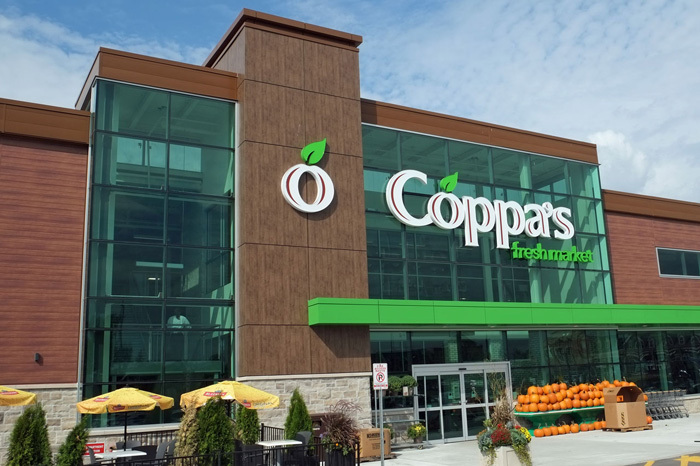 Please note... the Community Room is located on the second level and is accessible by stairs or elevator near the West entrance of the store. We had a very nice turnout to our February workshop. A number of new projects or acquisitions were brought and some old ones to show their unique features. Guy brought in a small old-time style plane that was owned by someone from his workplace. It needs very little to get it up in the air and we hope to see it soon. It does look like it will be a very gentle flyer. Bruce brought in a nearly complete F-16 foamy. It needs a few tweaks and it will be ready for spring flight. He also brought in a blast from the recent past, a Carl Goldberg Falcon III, which is a revised Falcon 56. The kit is new and complete. It will be a very gentle airplane to fly and is much improved from the original. Ailerons were added plus precision laser cutting which greatly enhances building quality and fit. Clair brought along a very large box that has us all wondering and eager to open it with our pocket knives before the workshop began. It is a SuperEZ that is receiver ready and is a very nicely finished foam airplane. He retired his Fun Cub at the Oakville swap meet so he was looking for something similar to replace it. The price landed from overseas just can't be beat with a stick. The parts can be ordered from any local shop that deals with Horizon, in case you were interested. I brought in my latest two acquisitions, the giant scale Cessna 150 and the Schaller and Vannucchi F5J electric sailplane. I have tried a few times to get out the Cessna this winter but wind seems to be the biggest obstacle rather than snow or cold temps. Although they were not included in the display, there is a full float set to go along with the wheels and skis so this is truly an all year flyer. The sailplane is an older competition glider used in altitude limited starts. It features very large flaps, ailerons, and a full flying horizontal tail. So far, I have had one very nerve wracking flight with it as the stabilator was not properly set. No information was provided with the sailplane. I also brought in two electronic projects that were finished after last year's workshop where I first displayed the roughed in charging kit. I finished the charging kit and then built a dual battery discharger which is as powerful as my iCharger 308 Duo and my Hyperion EOSO720i (well almost as powerful as that one). Murray brought in a couple of interesting projects, one based off of a foamy Piper Cub, and the other one based off some advanced aerodynamic proposals. When you look at the forward swept wing, you might think that it would be very unstable and want to tip stall very easily but it is a very stable model. He only had the wing but it was more than enough to get the concept through to us. The other was a repurposed set of flying surfaces with a very long and spindly landing gear. The airplane is very light and the gear is more than enough to allow it to land and takeoff smooth surfaces. We hope that you enjoyed the pictures as much as we enjoyed doing the presentation. Thanks to all that attended. Take care and see you next weekend at the Winter Flight Workshop. Update on the rejigging of the elevons -- have to reglue one and then also figure out how to set up the wires as I'd pulled them before gluing the elevons on. May cut wires and add a overlap solder joint. Haven't started the Falcon but may do so instead of trying a Flite Test kit from the stacks. So many planes, so little time.